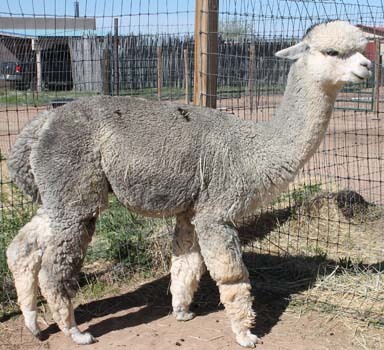 Silver Quest (now deceased) settled his first females fall 2008, & his first crias arrived fall 2009, showing his great fiber & conformation. 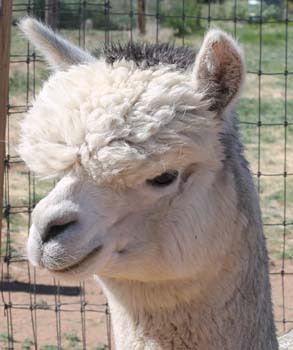 In fact, one of those 2009 crias (a black male) distinguished himself in the show ring from early on, winning a Color Championship at the 2011 TxOLAN Alpaca Show. Winter Sky's Macy Grey (now deceased) was a beautiful silver grey in color. She has extensive silver grey in her family tree, and has consistently produced silver grey offspring (when bred to our silver grey herdsire Misty Ridge's Silver Quest). This outstanding young male carries exceptional grey genetics from both sides of his family tree. 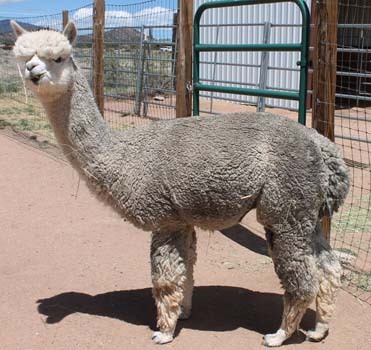 His sire Misty Ridge's Silver Quest comes from the Royal Accoyo bloodlines of both Accoyo Caligula and Peruvian Accoyo Pluro. 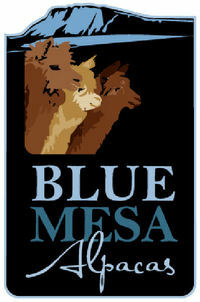 Silver Quest's numerous awards include a number of blue ribbons and 2 reserve color championships. Like his sire, Silver Titan has exceptional color consistency as well as superior fiber fineness and high uniformity. Like his dam Winter Sky's Macy Grey, Silver Titan displays a gorgeous grey color, continuing a long line of grey genetics extending back for generations.